USAA offers various types of two-factor authentication, some of which require the sending of a security code every time your account is accessed by Prism. 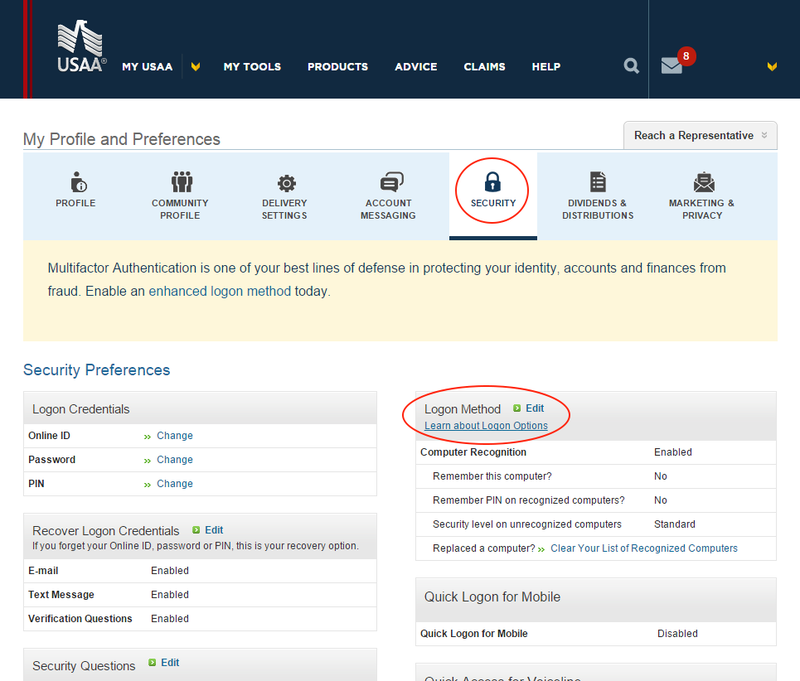 In order to access your account efficiently and provide the most up-to-date balance information, you may need to alter your USAA two-factor authentication settings outside of Prism. 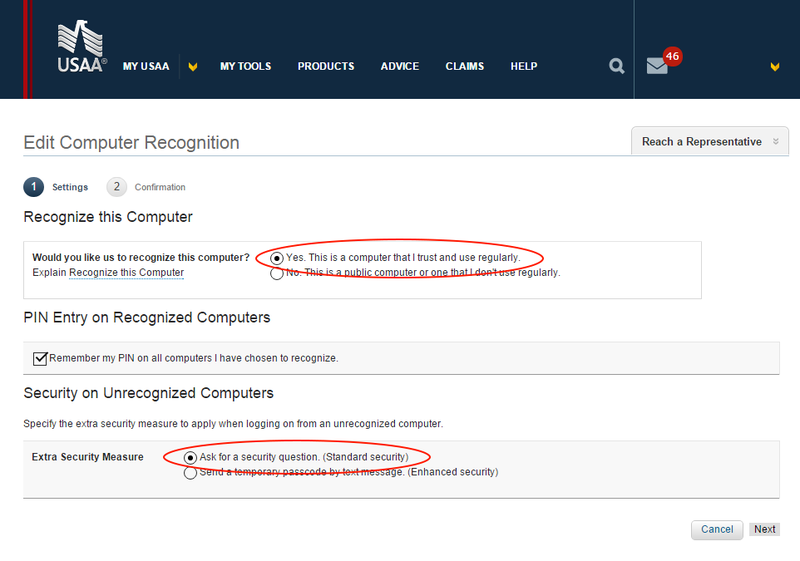 If you are seeing a security code every time we sync your USAA account in Prism, you may wish to review your two-factor authentication settings. To do this, please log into your USAA account outside of Prism. 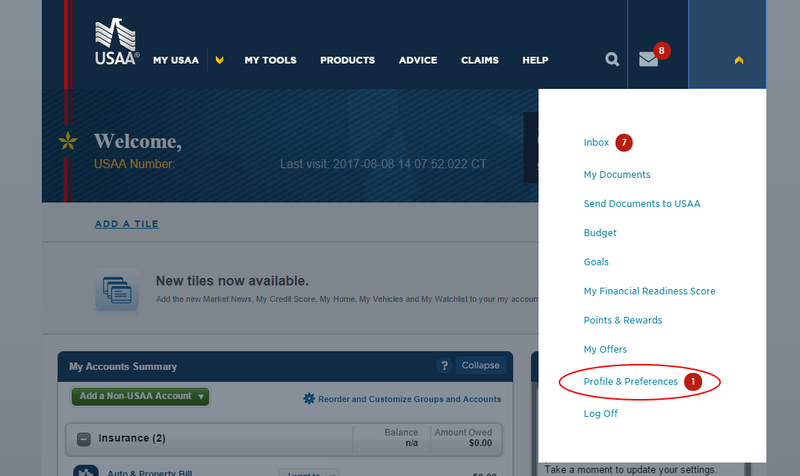 Once you have logged in, click your username in the top right corner, and then click "Profile & Preferences" in the drop-down. Once on the Profiles & Preferences page, click the "Security" tab near the top. You will then see a "Logon" Method" area. Click the "Edit" button next to "Logon Method." From here, you will see a list of 3 different authentication methods. In order for Prism to work efficiently, you will need to enable the third "Computer Recognition" option. Once you have this checked, click "Next". To complete this change, you will need to select "Yes. This is a computer that I trust and use regularly." Finally, select "Ask for a security question (Standard security)", and click "Next." That's it! 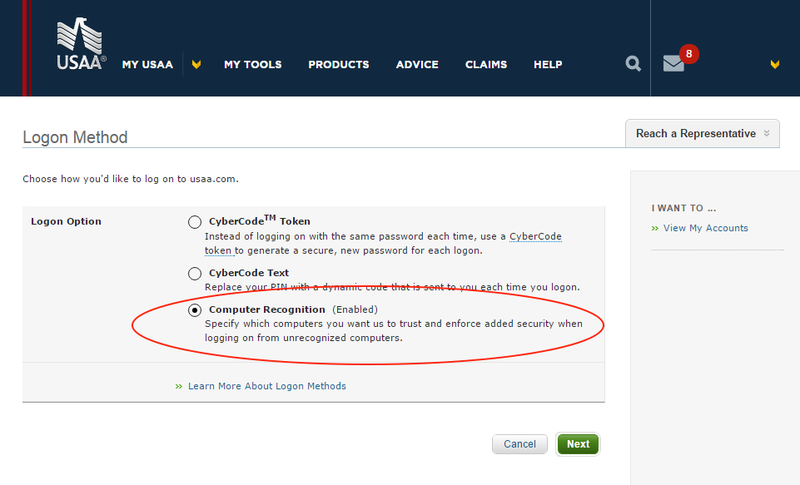 You may now log out, and re-sync your USAA biller in Prism. You may need to complete an identification code once more. Additionally, USAA will still require the sending of a security code every time you log into your USAA account outside of Prism on a different device, so your account information will still be secure! While this may work for many USAA customers, some are unable to change their two-factor authentication settings. If this is the case, you will unfortunately need to manually sync your USAA biller in Prism and complete the security code each time. You will be unable to make USAA payments within Prism.